The Tanzania National Development Vision 2025 envisions universal access to water in urban areas by 2025; and covering at least 90 percent of the population with water supply services in the rural areas by 2025. Management of Tanzania’s Water Sector Development Program Phase II (WSDP2) started in 2016 and is a five-year program. One such project associated with Phase II plan, the Simiyu Water Supply Project, is to supply treated potable water to five Districts in the Simiyu region including Busega, Bariadi, Itilima Meatu and Maswa. The project will be supported in the framework of German financial cooperation (EUR 25 million) and the Green Climate Fund (EUR 143.4 million), and the Government of Tanzania. A total financial contribution up to EUR 143 million is foreseen within the financial donor framework. • Construction of a water collection and treatment plant at Lake Victoria, with a capacity of 15,000 cubic meters. • Implementation of hygiene campaigns to promote the improvement of domestic sanitary facilities, as well as construction of at least 50 school and public toilets. Upon completion, the project aims to improve the climate resilience of the region and improve the income and development of the Simiyu region. This is achieved through improved living condition via safe resources for drinking water and sanitation treatment. Due to the complexity of the project, a Program Management Consultant is to be appointed to support execution of the construction project and provide support to the Ministry of Water with overall strategic coordination, monitoring and the contract management of construction and consulting services. The implementation period of the project is estimated at a total of five years (2018 to 2023). 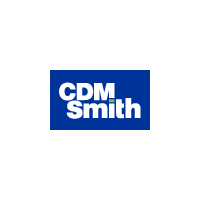 CDM Smith is currently searching for qualified candidates to serve as the Deputy Program Manager (DPM) on a full-time basis located in the Simiyu region. The qualified candidate is expected to be the principal deputy to the Program Manager pertaining to issues of project implementation and risk assessment and mitigation activities. • Degrees: Bachelor’s degree (Masters preferred) in accounting, finance or economics. • Post-graduate chartered/professional membership (or equivalent) of a recognized international financial institution, or equivalent. • Demonstrated experience in financial analysis for at least 3 large scale projects or organizations of a similar nature and complexity during the last 10 years. • Proven ability to provide sound financial analysis and review financial data. • Previous experience analyzing and reporting variances for project financial performance. • Strong computer skills and ability to utilize word-processing and database applications including MS Office, Familiar with utilizing advanced computerized financial applications. • Excellent knowledge of and be fully familiar with the relevant norms, standards and procedures, as well as local legislation, circumstances and practices. • Strong communication, prioritization, and organizational skills. • Strong presentation skills (document-based and verbal). • Ability to work with others in a positive and collaborative manner. • Ability to work as part of a high-performing and multi-disciplinary team, often operating under tight deadlines and timetables.